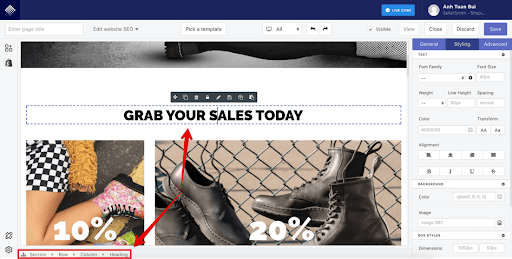 In this article, you will learn about the key structure of a PageFly page when you use PageFly to build up your store. Whenever you drag a new element into your page, PageFly will automatically create its containers which are Section > Row > Column > the element. By doing this, PageFly ensures that the page is responsive on all screen sizes. But what is this structure anyway? In PageFly, an ideal page contains sections. In section, there are rows. 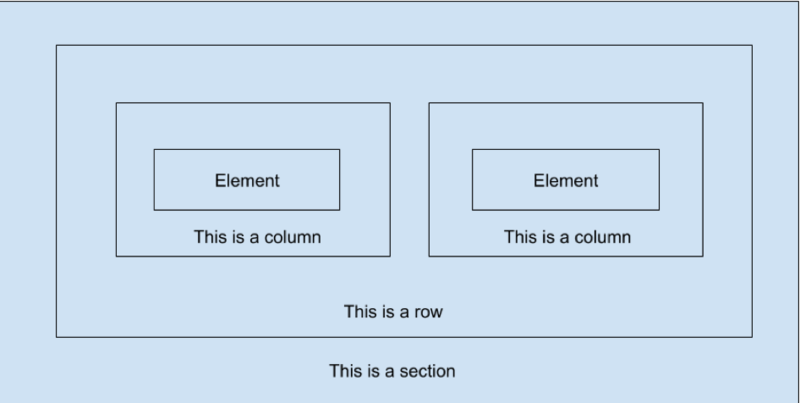 Each row contains columns, inside column, we place elements. You can find this structure by looking at the Breadcrumbs at the bottom bar. With proper column and grid, all pages can be responsive on any device, from the largest desktop to the smallest mobile screen. Columns create gutters (gutters are gaps between columns) with padding. 1 Yes. Thanks guys! 4 No. Improve it!